Do you have mildew or mold growing in your home? Unsure how to tell the difference if there is one? When it comes to mildew vs. mold, it can often be difficult to distinguish between the two. Mildew is a type of mold, and as such, they have a number of commonalities. Both mold and mildew are considered fungi, like to grow in warm, damp places and spread from surface to surface easily among other similarities. While they share these various characteristics, mold and mildew also have a few notable differences – like their appearance, effects, and eradication needs – that separate them. Mold overall can be much more invasive and dangerous to both your home and health, so being able to make these distinctions can sometimes prove vital. Here is a rundown on how to tell the difference between MILDEW vs. MOLD. What is the Difference in Appearance Between Mildew and Mold? One of the quickest ways to distinguish between mildew vs. mold is by looking at the appearance of each. In terms of texture, mildew can be either downy or powdery. Downy mildew starts out as yellow spots that first become brighter in appearance and change to brown over time. 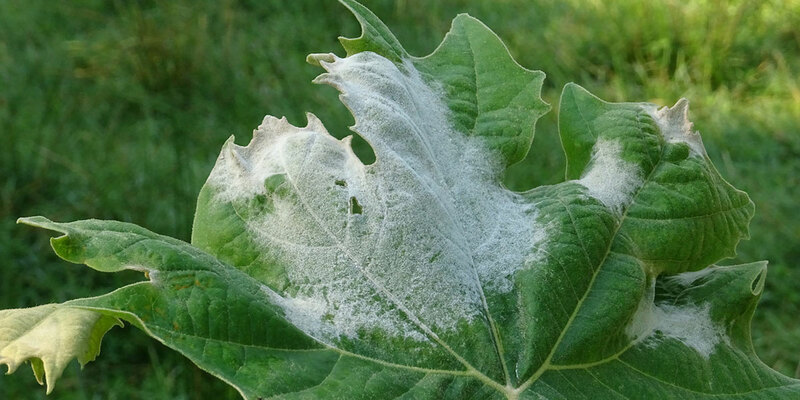 Powdery mildew is whitish in color but can turn either yellow, brown, or black, sometimes all in a succession. Both types of mildew appear flat in nature. Mold however is often described in appearance as being fuzzy, fluffy, slimy, and sometimes even resembling hairs. Its coloration varies widely, ranging from shades of orange, green, black, brown, purple, and even pink. While its appearance most often resembles a combination of these characteristics, mold is at times invisible. This makes it especially important to know what conditions prompt mold (and mildew) to grow and where to check when you have suspicions. Where Do Mold and Mildew Grow? As fungi, both mildew and mold are all around us all the time. They can be present in places that are dry and normally unsuitable for growth and survival, but they thrive in areas that are warm and moist. Mildew can most often be found in humid environments that are prone to heat and moisture like bathrooms, kitchens, or basements. In these areas, mildew grows most notably on flat surfaces such as floors, walls, ceilings, or window sills. Other damp, flat surfaces mildew is known to grow on are household items such as fabric, paper, and leather. Like mildew, mold spores are found in warm, moist areas such as bathrooms, kitchens, and basements. Other common areas include indoor and outdoor areas that have gotten wet such as sheds, garages, and crawl spaces. As previously mentioned, mold is invasive and can also be present even if not visible. Mold has been known to grow behind walls, inside plumbing and HVAC or air conditioning systems, and can even become trapped under carpet or other flooring. While some operate under the common misconception that mildew and mold are only present after catastrophic events such as hurricanes or other flooding, it is important to know that mold and mildew can grow in even the most “normal” of household conditions. What are the Different Effects of Mildew vs. Mold ? One of the most stark differences between mold and mildew is in how they affect both one’s home and health. When it comes to the home, the effects of mildew are much more mild than those of mold. While mildew damage is more cosmetic in nature and typically doesn’t cause lasting effects, mold has been known to destroy entire structures. Health wise, if mildew spores are inhaled, mild effects such as coughing, headaches, and shortness of breath can occur. However, if mold spores are inhaled, effects can range from these mild symptoms to more serious ones such as severe respiratory issues, heart problems, migraines, fatigue, and depression. Because the effects of mold vs. mildew can vary so drastically, it is important to know how to spot one vs the other. How do you Remove Mildew vs. Mold? Just as it is important know what mold and mildew look like, where they grow, and their different effects, it equally important, if not more, to know how to go about removing them. Many sources state mold and mildew can be removed through DIY methods. While they can be removed this way, that does not necessarily mean that they should be. In fact, we highly advise against these methods. When common DIY methods, like applying bleach or other commercially available household cleaners, are applied, the problem often ends up much worse than it was initially. The chemicals used in cleaners combined with the toxins on the spores, create new chemicals that may be more even toxic than those that are naturally occurring. Not only do you run the risk of elevating toxicity levels, you are also likely to spread the mold or mildew in the process. To avoid making the problem worse, we recommend bringing in a professional for proper mold testing and remediation. While you may think you can remove the problem on your own, it is best to bring in the experts for the safety of all involved. So is There Really a Difference Between Mildew and Mold? Simply put, yes. There is a difference between mildew vs. mold. 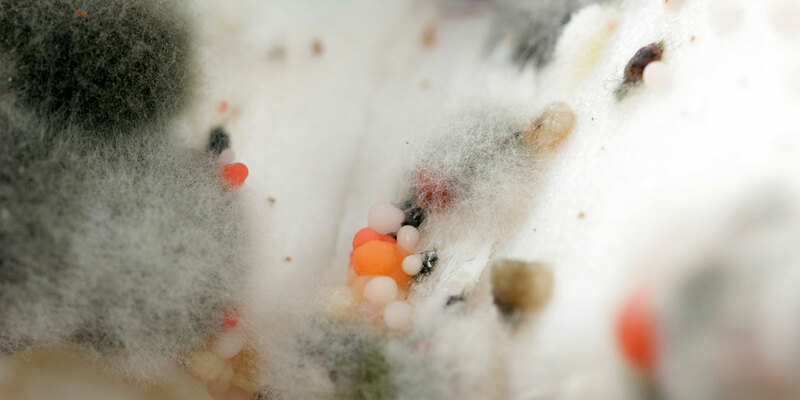 While mold and mildew share a number of common characteristics, one is clearly much more invasive and dangerous than the other and should be treated as such. If you are experiencing symptoms such as coughing, headaches, shortness of breath, respiratory issues, heart problems, migraines, fatigue, and depression, you may have mildew or mold present in your home. Do yourself a favor and call a professional for mold testing and remediation before it is too late.